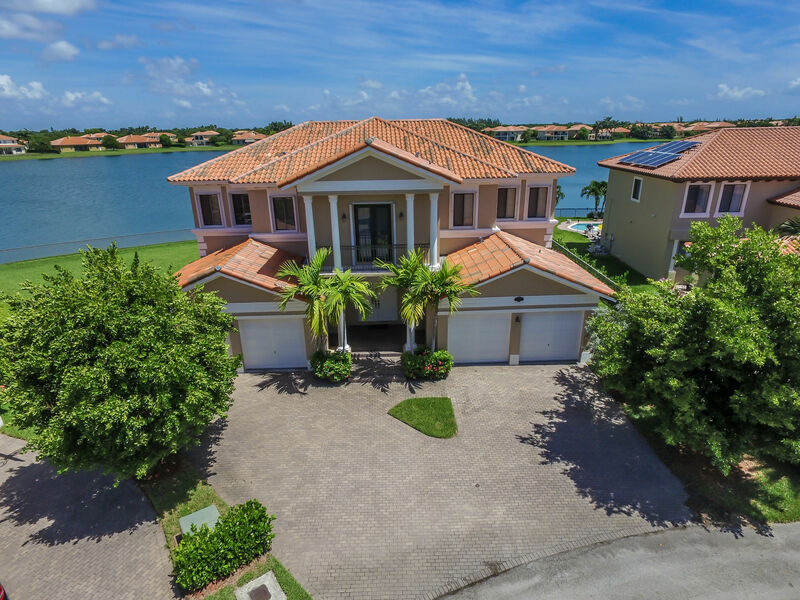 4 Bedroom, 2 1/2 bath home on secluded lakefront lot in Lakes By The Bay. This tranquil home is totally undated and priced to sell. 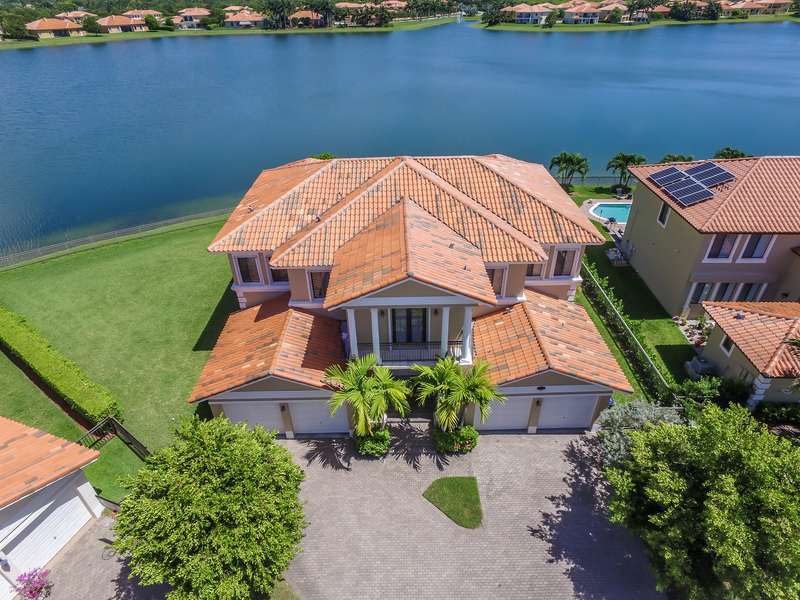 Call Trisha Fuerst, at Global Luxury Realty at 786-208-9048 for more information about this Lakes By The Bay home or other homes for sale in the area. The earliest settlers in the region now occupied by Cutler Bay were the Tequesta. These indigenous people inhabited the extreme southern portion of Florida for thousands of years before European settlers arrived. It was the arrival of Spanish explorers in the 16th century that would ultimately mark the end of the Tequesta in South Florida. After suffering new European diseases and forced exile, the last Tequesta did and their settlements disappeared into history. Over the next 300 years, the Seminole people came to be the dominant inhabitants of the region, with European settlements primarily limited to Key West and Miami. In 1836, Congress created a county which encompassed all of the southeastern Florida from the Indian Key north to the Jupiter inlet. The county was named Dade County in honor of Major Francis L. Dade, who was killed during the Second Seminole War. The first county seat was Indian Key, strategically located halfway between Key West and Miami. In 1844, the county seat was moved to Miami, and the country was ultimately divided into what are, today, Monroe, Miami-Dade, Broward and Palm Beach County. Vulnerable to Seminole attacks and frequently inundated, the United States government viewed southern Dade County as an area in desperate need of settlement and cultivation. The U.S offered federal land grants to pioneers who promised to attract other settlers and make improvements to the land. One such person was Dr. Henry Perrine. In 1838, Dr. Perrine was granted a full 36 square mile township to develop into valuable farmland. Inspired by rich soils and a warm climate, he saw the southern tip of Florida as the perfect site for the introduction of exotic and medicinal plants. His vision was never realized, though. Dr. Perrine was killed during a Seminole raid on Indian Key in 1840 before his grant was even surveyed. The same climate and fertile soils that had attracted Dr. Perrine began to attract squatters in the years following his death. These settlers, though, had no intention of following Dr. Perrine's vision; they chose traditional farming over plant introduction. Several squatters chose to ignore the Perrine heirs' questionable claims to the land and opened large farming enterprises. It was not until 1897 that the land dispute between the squatters and the Perrine heirs was resolved, so that the valuable farmland could be legitimately sold and settled. Two such settlers were Francis and John H. Earhart, who owned 2,000 acres of farmland. They established a small farming community nearby which came to be known as "Franjo" in their honor. The road which led to the community became known as Franjo Road and still exists today. Another prominent settler was Thomas J. Peters, who owned and operated a vast tomato enterprise near the present-day intersection of Eureka Drive (SW 184th Street) and US 1. The Peters tomato farm was for years the largest commercial operation in that part of Dade County. During the same period, a man named Dr. William Cutler purchased 600 acres just north of the Perrine Grant. Dr. Cutler had purchased the land with a dream for a farming utopia similar of that to Perrine, but was unable to convince enough settlers to stay. Although Cutler never established his dream farm settlement on Biscayne Bay, the land was still attractive enough to retain a few settlers. These settlers established a town and named it Cutler in honor of Dr. Cutler, who visited the area occasionally until his death in 1899. The first residents of Cutler made several important contributions to Southern Dade County, including establishing the first post office south of Miami and cutting a trail that connected Cutler to Coconut Grove. This trail was the beginning of what is, today, Old Cutler Road. 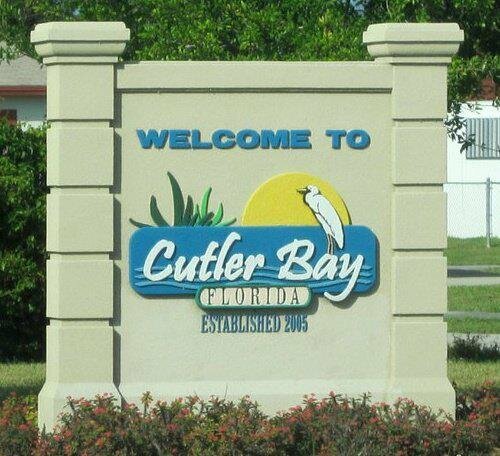 Although the historic location of Cutler's town was located several miles to the northeast, the Town of Cutler Bay takes its name, in part, from Cutler's legacy. Around the turn of the century, Miami was experiencing prosperity and rapid growth thanks to Henry Flagler's Florida East Coast Railway. Flagler's railway took wealthy tourists south from St. Augustine, stopping along the way at Flagler-owned hotels and Flagler-owned tourist destinations. Flagler himself funded much of the early infrastructure of Miami, which was the Railway's southern terminus. A popular destination, Miami was incorporated as a city in 1896. In 1905, Flagler announced his plans to extend the Railway south to Key West. Although the "Overseas Railway" took seven years to complete, Flagler's trains were soon running through southern Dade County. Coming south from Miami, stops included Kendall, Rockdale (near present-day Palmetto Bay), Perrine, Peters, Goulds, Princeton, Modello and Homestead. Many communities that developed around these rail stations are still known by their original station name. The Peters station, located near Eureka Drive, was established to give Thomas J. Peters' tomato farm rail access. Peters' tomatoes, already popular locally, became highly demanded with the advent of rapid rail distribution. Peters, who owned many acres near the station, even attempted to develop a town as Flagler had done at Kendall. Although his attempts were unsuccessful, the name "Peters" can still be found on many maps at the intersection of Eureka Drive and US 2. Proximity to the railroad and the area's prime location in South Florida eventually brought a multitude of permanent settlers to the area, increasing the population exponentially throughout the 1900s. These settlers endured environmental catastrophes, including devastating hurricanes in 1926 and 1935. The worst for Cutler Bay would happen nearly 60 years later. Category 5 hurricane Andrew made landfall at nearby Homestead, FL in August of 1992. Researchers have since identified that the most damaging winds of the northern eyewall had reached maximum intensity over the Cutler Ridge area. A nearby resident, using his own anemometer, reported gusts of more than 200 mph. In August of 2005, rainfall from Hurricane Katrina dropped as much as 20 inches over the Cutler Bay area, resulting in flooding. Despite challenges that faced settlers of the 1900s, the area boasts a storied development history that led to the Town's 2006 incorporation. After the land dispute between settlers and the Perrine heirs, the majority of the Perrine Grant lands were conveyed to Henry Flagler, who would sell the land and fulfill the original grant requirements. Sizeable tracts were given to the Railway, with the remaining interests being controlled by Flagler's Model Land Company. Flagler, who owned thousands of acres from central Florida to Homestead, established several such companies, tasked with selling the land to investors and settlers. The Model Land Company dealt with the former Perrine Grant, as well as with Flagler's other land holdings south of Miami. Flagler placed agents in charge of each of hi land companies. It was the job of each agent to attract buyers to his territory and entice them to purchase land. The agent Flagler placed at the head of the Model Land Company was James E. Ingraham. 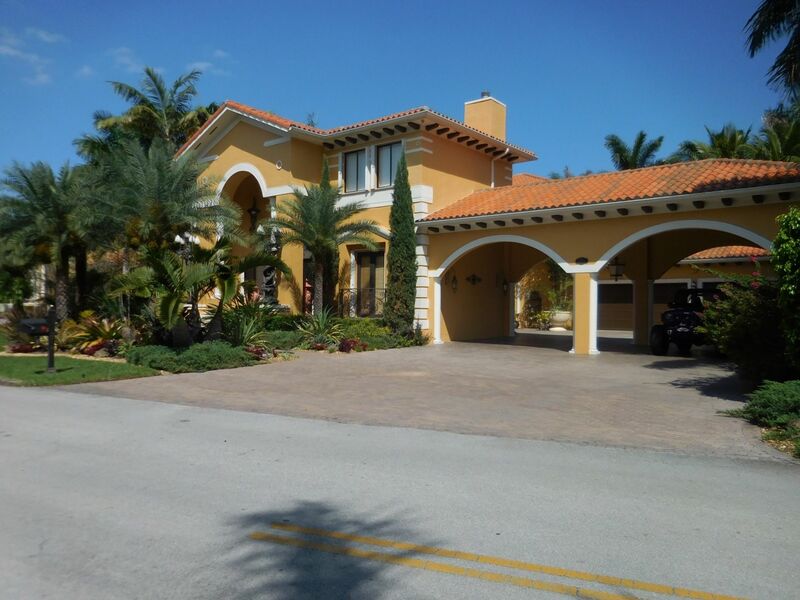 In the area of the Perrine Grant, most prospective buyers were seeking fertile farmland and a long growing season. Ingraham would arrange tours through the Grant lands for prospective buyers, highlighting the surprisingly rich soil and diversity of crops that could be planted. During one such tour, a Mr. Wietzer was first shown "the grove at Kendall," and then "Homestead so that he can see how fruit trees grow in the rock". The Perrine Grant was likely a tough sell as Mr. Wietzer's guide points out, "the main thing against it to a new comer is the rocky land, which our settlers here get used to." Ingraham's most enduring mark was, perhaps, the construction of a road that extended the Cutler road even further south to the intersection with the railroad tracks. This road became and still is known as Ingraham Highway. During this period, development in and around what would later become Cutler Bay was primarily agricultural development. Several landowners, like Thomas J. Peters, decided to capitalize on the success of farming in the region and planned around the small farming communities. One, the Town of Tenalla, was planned in the area of Franjo. 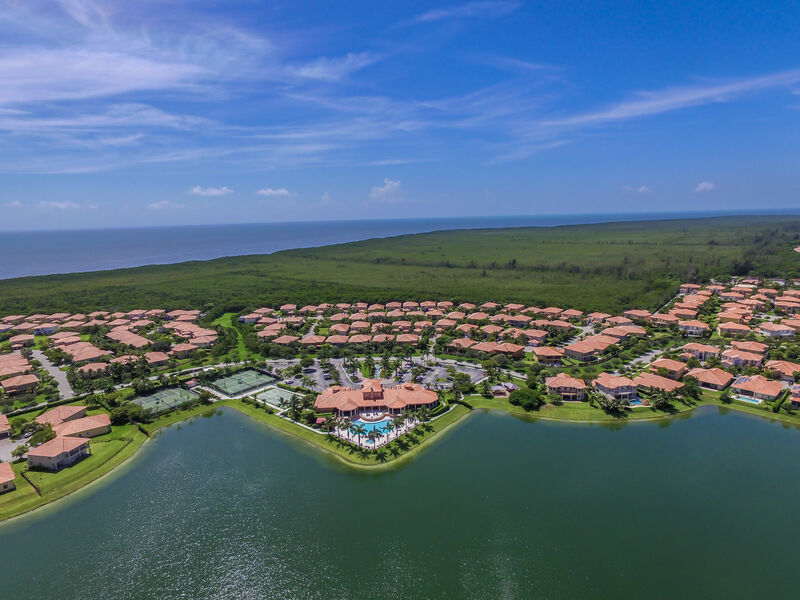 In 1924, the Tenalla Ocean Farms Corporation created the Tenalla Ocean Farms Subdivision, which stretched from Ingraham Highway almost to Biscayne Bay. At its western end, the Town of Tenalla was situated at the intersection of Ingraham Highway and Franjo Road. The map of the Town of Tenalla shows a number of residential plots and a park deeded to Dade County. This park, known as Franjo Park today, was the first planned park in what is now Cutler Bay. World War II brought much change to the region. In 1942, a small, back country airstrip was transformed into the Homestead Army Air Field. With the war raging far overseas, Homestead was initially used as a maintenance stopping point for aircraft flying long distances. During later years of the war, the base was used for significant training operations. Military use of the base ended in 1945, but the influx of returning troops to the area spurred new developments. The Lincoln City subdivisions were among them. The Airport Gardens Homebuilding Company created Lincoln City Section A in 1948. Located just south of Goulds, it was followed by a series of Lincoln City sections. Lincoln City Section G, also created in 1948, included a small triangular park near the intersection of Hainlin Mill Drive and Ingraham Highway that exists today as Lincoln City Park. One postwar development came to define the region: Cutler Ridge. 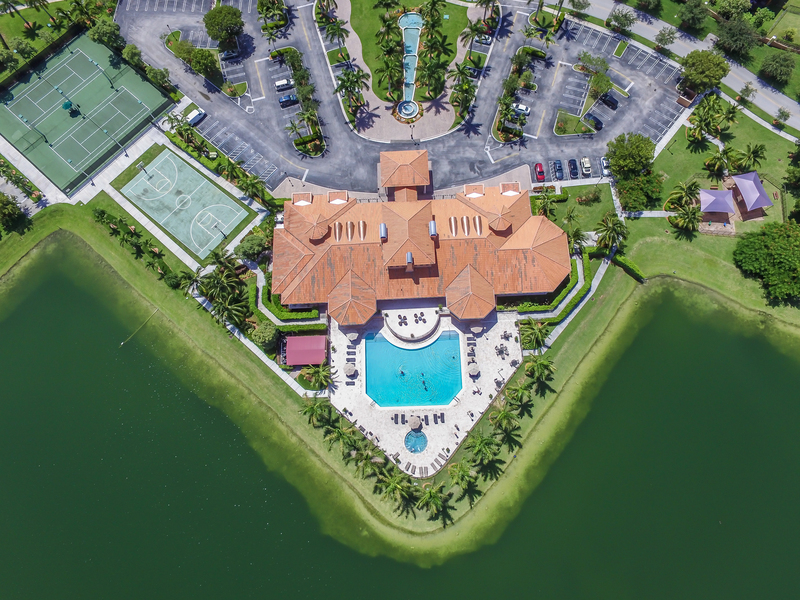 David Blumberg, a local developer, purchased 1,400 acres of land in what is now Cutler Bay. In 1954, Blumberg and his Miracle Development Corporation laid out the first subdivision of this land: Cutler Ridge Section One. Located at what is, today, the intersection of Cutler Ridge Drive and Coral Sea Road, the development was named after Cutler and also for the limestone ridge upon which it sat. This prominent ridge can clearly be seen on plans for the development, and can also be seen on the site, today. In the wake of the Korean War, the government decided to again use the Homestead airfield for military operations. Once the base reopened in 1955, activity and development in the area increased dramatically, and residential property in the Cutler Ridge area was in high demand. It was also in 1955 that Cutler Ridge Section Three was planned by Blumberg. This was followed rapidly by Section Four and Section Five in 1956, Section Six in 1957 and Section Seven in 1958. Blumberg and his company also owned and developed a shopping center in the area, which became Cutler Ridge Mall in 1977. While Cutler Ridge was the first, large-scale planned development in the area, others were rushing in to meet the rise in demand. Developments like Holiday House (located between the Cutler Ridge developments and Franjo Road) and Whispering Pines were created in 1956 and 1957. In the area near where the Peters tomato farm had once stood, the first section of the Bel Aire subdivision was created in 1957. Demand was so strong that from 1957 to 1978, the Sterling Realty Corporation and Bel Aire, Inc. added 23 more sections to the development. Most, but not all, of these subdivisions are now within Cutler Bay's town limits. In 1972 a portion of Tenalla Ocean Farms was re-platted to form the Saga Bay development. In 1983, Lennar Homes developed Section One of the Lakes by the Bay; new subdivisions are still under devilment. Lennar Homes dedicated 96 acres of open space to offset park impact fees. The park was originally used by Lennar as a clean construction dump. Most of the lakes were dug for fill for the construction of the Lakes by the Bay Community. 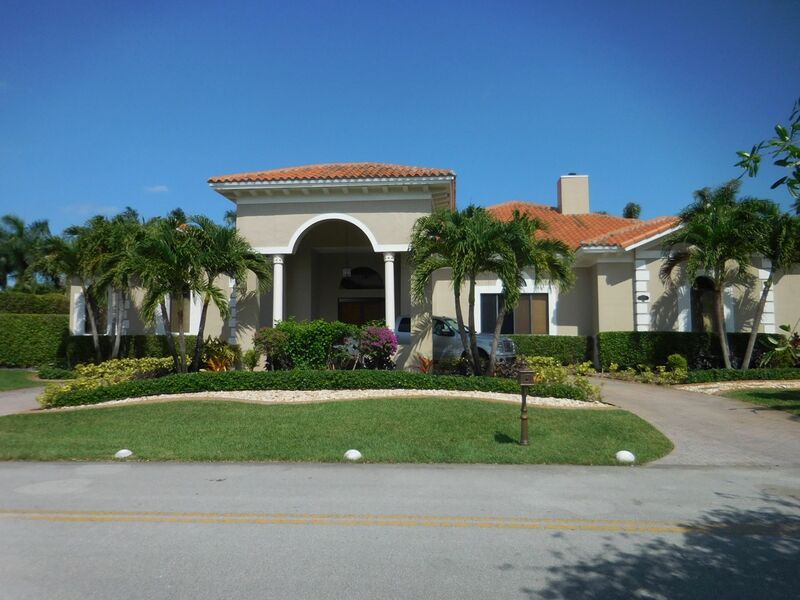 In January of 2005, the residents voted to incorporate, and in November of that year the Town Charter was approved, making the 9.7 square mile Town of Cutler Bay the youngest incorporated municipality in the State of Florida. The American Community Survey of 2005-2007, the first official census data collected for the Ton, revealed that the demographic makeup was very similar to Miami-Dade, a result of the Town's incorporation of neighborhoods and communities and varied incomes. 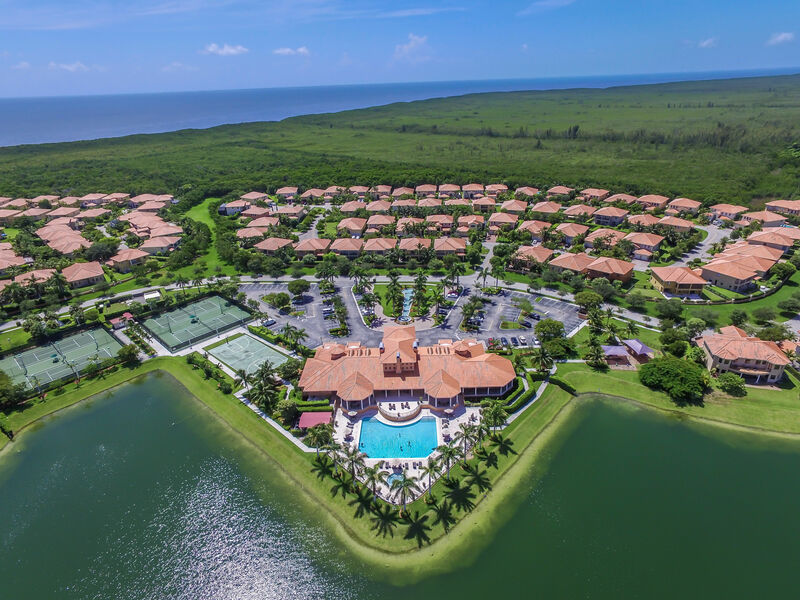 Today, more than 40,000 residents call Cutler Bay home. In January 2005, the residents of what is now known as Cutler Bay voted to incorporate. After months of work, the Town Charter was approved on November 8, 2005, and was effective the next day, making the Town of Cutler Bay the youngest incorporated municipality in the State of Florida. The Town's first Mayor, John F. Cosgrove, a former Florida State Legislator for over 25 years, was elected in January, 2006, and on February 2nd, the Mayor and Town Council Members were sworn into office. On April 19, 2006, Mayor John Cosgrove passed away while vacationing with his daughter. Due to the untimely passing of our first Mayor, pursuant to the Town Charter, Vice Mayor Paul Vrooman became the new Mayor of our Town. Currently, our Town is home to over 40,000 residents. Cutler Bay is governed by a five-member Town Council and operates under a Council-Manager form of government.